MADISON, Wis.—Foxconn Technology Group said on March 18 that its manufacturing facility in Wisconsin will be producing flat-screen panels by the end of 2020, with construction starting later this year. The news came after the worldwide electronics manufacturing leader sent mixed signals earlier this year about whether it planned to suspend work in Wisconsin. 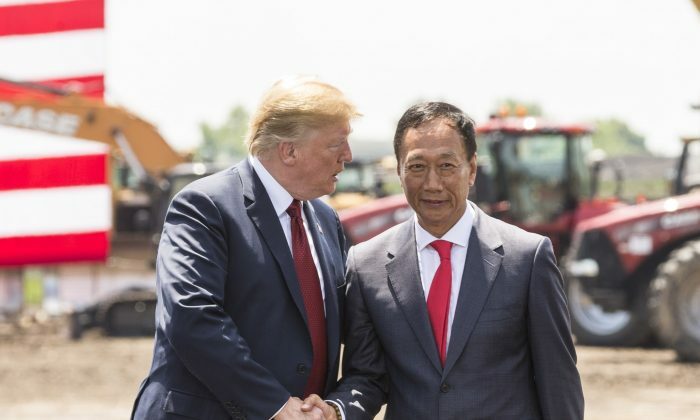 After a meeting with President Donald Trump, Foxconn’s leader recommitted to building a manufacturing facility in Wisconsin. Foxconn on Monday announced dates for moving ahead with that project, including awarding bids for roads, utilities, and storm drainage work by April 1 and issuing construction bids in May. Construction will begin by the summer, with the first panels produced in the last three months of 2020, Foxconn said.